If you are considering letting your home our dedicated lettings division can provide you with a comprehensive and secure service. 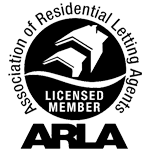 AR Lettings are members of the Association of Residential Letting Agents (ARLA) and comply with their codes and guides. For landlords with rental properties in blocks managed by Austin Rees we provide a holistic service by ensuring that tenants moving into your property really understand the community they are joining and the need to respect other residents. Our lettings team are based in the same building as our Property Managers so there is very easy communication. Property Managers make regular visits to the buildings they look after and issues caused by the tenant such as noise, parking and rubbish can be spotted early to prevent them becoming serious problems. Our lettings team are able to draw on the experience of the whole of our property management team we can make sure that your property is managed as efficiently, safely and as effectively as possible. Letting a leasehold flat does require some careful consideration because of the communal living arrangements in blocks of flats. Considerations that, if overlooked, can lead to future problems. Most leases will have clauses about lettings – in legal jargon this is correctly called subletting in the lease. If you have any concerns our lettings team will be able to advise you of any clauses in your lease that may need to be considered. 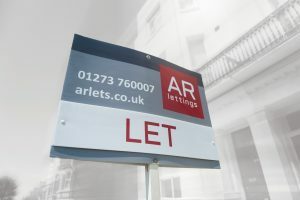 You can contact our lettings team by email at lettings@arlets.co.uk, visit their website or by phone on 01273 760007. The Association of Residential Managing Agents (ARMA) has produced a helpful guide about letting your home.